(Dante, Elementwo). There were some great deals this year on airbrush machines. I picked up a kit from Dinair for $139. 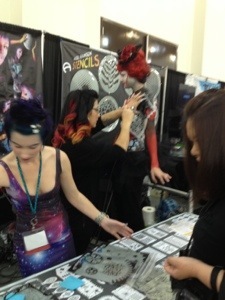 They unveiled their new airbrush machine design at IMATS this year. Since it was a pro day it was pretty empty on the floor, so I was able to talk to Eve Pearl and YouTube guru Elessa Jade. I also saw YouTube guru Koren running by I was able to get 3 makeovers (2 airbrush and 1 mineral makeover). The company doing the mineral makeup was called MICA, probably because its made out of mica lol. The minerals had great pigmentation and color payout. I will do a review soon, with color swatches. ay I didn’t miss them. Don’t get me wrong, Makeup Forever is one of my favorite brands, but their booth last year was awful. It was confusing, since they gave you a book to fill out what you wanted, but the names of products in the book didn’t match the names of the actual product. The customer service was awful, plus they gave me the wrong foundations. If you happen to be in LA, stop by the Makeup Forever Pro Store on Robertson Blvd. They’ve always been very helpful at the actual store, and have a great selection. Side note: if you’re on Robertson Blvd you also should stop by the MAC Pro store on the same street and The NARS Pro Store about two blocks away. 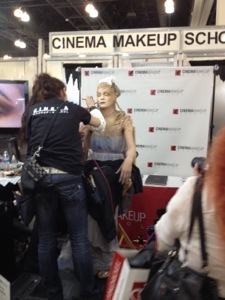 This year and last the MAC counter at IMATS had very friendly and helpful employees. I noticed this year they had less product out for sale. It might be because they are focussing on just pro products for sale this year. I was sad that they didn’t have the new concealer pallets, but luckily I live by pro stores so I can get those soon. Inglot also had friendly employees. If you’re at IMATS or just an Inglot store, I suggest you check out their liquid liner and cream liners. I also really liked their lipstick pots. I got a couple of cubes that I will swatch soon. Boy. 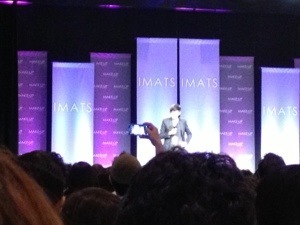 Kazu also unveiled his new work at IMATS. It was a large scale of Abraham Lincoln. The film showed part of the tedious work that went into making the mold. I could watch hours of Kazu working his magic. His attention to detail and hard work ethic definitely puts him apart from the rest. I will do a more in depth review after I go again on Sunday. I will have my real camera (vs. my iphone) with me to get better pictures as well. 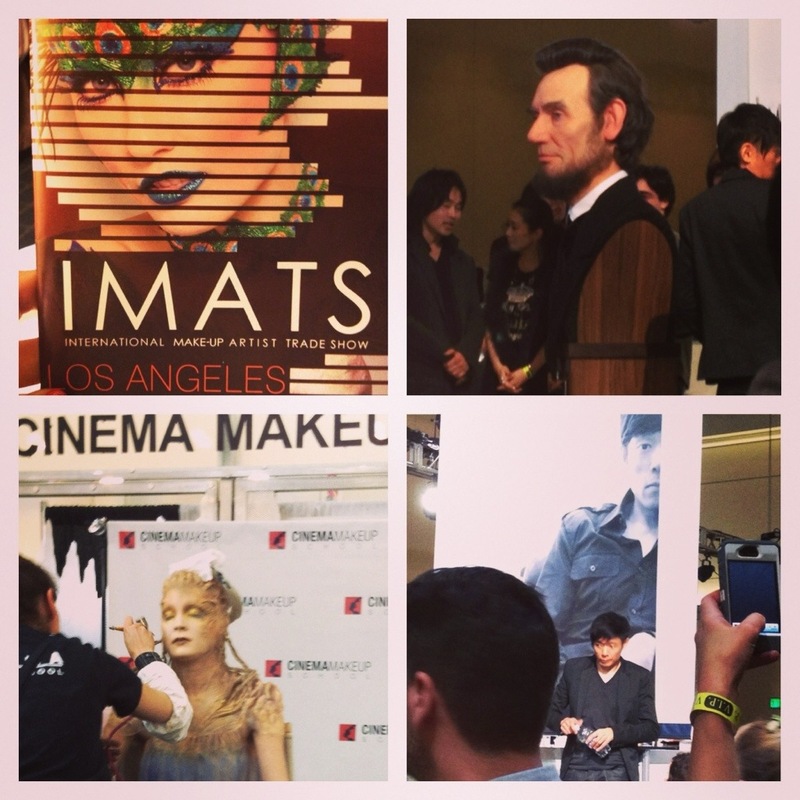 If you have gone to IMATS, how did you like it? I can get away with anything if my skin is being cared for. I don’t relaly have a favorite and actually don’t use much of foundation, but if I had to choose, Revlon Colorstay is pretty reasonable and works great! whoah this blog is excellent i really like reading your posts. Stay up the great work! You recognize, lots of people are looking round for this information, you can aid them greatly.